Our $30 million expansion project which is set to create 76 new jobs and increase production by 40% is well underway with the new amenities building and corporate office now complete along with upgrades to various production areas. 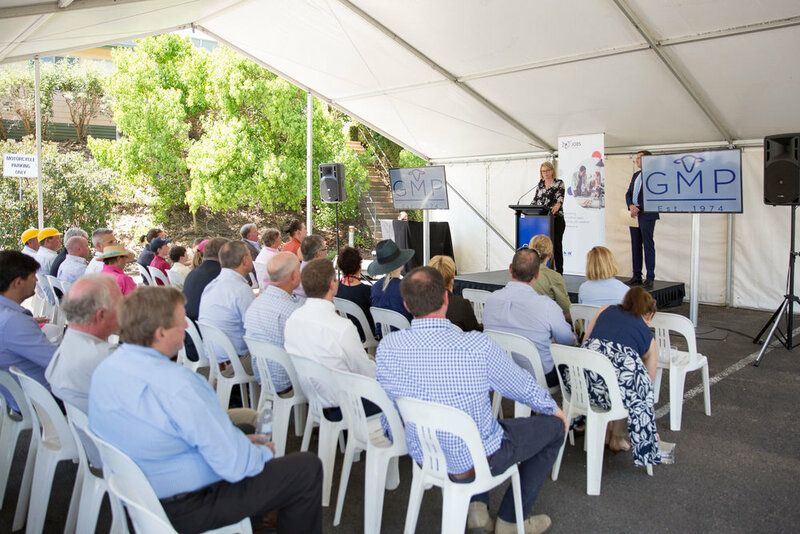 In addition to the significant capital works program, Will Barton, GMP CEO is also focussed on building capacity within the team to navigate the business through this period of growth. “At a time when meat processing is experiencing several challenges with many scaling back operations and regretfully some closures, it’s imperative we remain focused on driving our business forward. When we look back at how far we’ve come over the past 40 years, agility and the ability to change quickly to market demands is what has underpinned our business performance and growth. “To remain competitive, we must remain nimble. We want to be the most efficient, high-tech, skill led meat processor producing the highest quality product for our clients. To achieve this, we need to do more than just upgrade and expand the plant – we need to have the right people in the right positions to ensure we reach our full potential. “We also need to be operating at our most optimal to ensure a secure and sustainable workplace for our employees and our community. Our expansion project represents an exciting time not only for our business but for the greater Gundagai community as we thoughtfully grow our operations and build a sustainable business model. “This has included creating a new position for a General Manager which I’m delighted to advise has been filled by Mick Bird. Mick has more than 20 years’ experience in the meat processing sector across regional Victoria with senior positions at meat processing companies in Swan Hill and Colac. “Mick is responsible for guiding our operations and ensuring we have the right structure in place for when we take on new clients allowing us to scale up and scale down depending on client demand,” said Will Barton, GMP CEO. The first phase of the expansion project has included the construction of new livestock holding facilities, extensions to various production areas as well as a new, state-of-the-art automated carcass chiller system. Team members have also welcomed the addition of a purpose-built amenities building and a new corporate office which brings together team members who were previously located across several demountable buildings.